Product is free after signing up to the promotion & applying the discount code received by email in accordance with the promotion terms & conditions. Discount applied when code is entered in the basket. Max 1 order per address. Energy gels are a convenient way to boost your carbohydrate intake during endurance exercise. Our word-famous Isotonic Energy Gels are carefully designed to digest quickly and easily. Depleting your carbohydrate stores during exercise is one of the major causes of fatigue. Delivering additional carbohydrate during exercise is known to improve performance, race times and delay the onset of fatigue. The Isotonic formula allows the gel to empty from the stomach quickly as no fluid needs to be drawn into your stomach to dilute the gel, providing fast energy. GO Isotonic Energy Gels are highly practical and can easily be carried without the requirement for bulky bottles. Water, Maltodextrin (from Maize) (33%), Black Elderberry Extract (1.4%) (Sambucus Nigra 15% Anthocyanins), Gelling Agents (Gellan Gum, Xanthan Gum), Natural Flavouring, Acidity Regulators (Citric Acid, Sodium Citrate), Vitamin Mix (Sodium Selenite Anhydrous, Cholecalciferol, Retinol Acetate, Zinc Bisglycinate), Preservatives (Sodium Benzoate, Potassium Sorbate), Sweetener (Sucralose), Antioxidant (D- Alpha Tocoperhol), Sodium Chloride. When should I consume these? Consume 1-3 gels per hour during endurance exercise to maximise carbohydrate utilisation rates. Alternatively, take one halfway through repeated high intensity exercise (such as football or rugby) to rapidly replenish glycogen stores. When should I have these versus Electrolyte, Caffeine or L-Carnitine gels? These should be consumed when you need a fast, convenient energy boost. During endurance exercise lasting over 90 minutes, these should be the main gels that are used throughout a race. 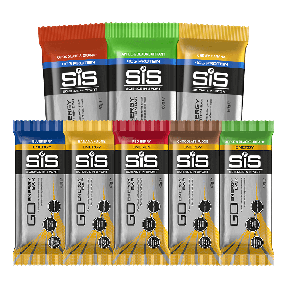 Use in combination with other SiS Energy products e.g 1 x SiS GO Isotonic Energy Gel and 1 x 500ml SiS GO Electrolyte to hit 58 grams of carbohydrate (per hour). Yes, this gel was the first truly isotonic energy gel. SiS GO Isotonic gels contain natural flavourings. Why are these better than regular foods, for example a banana? 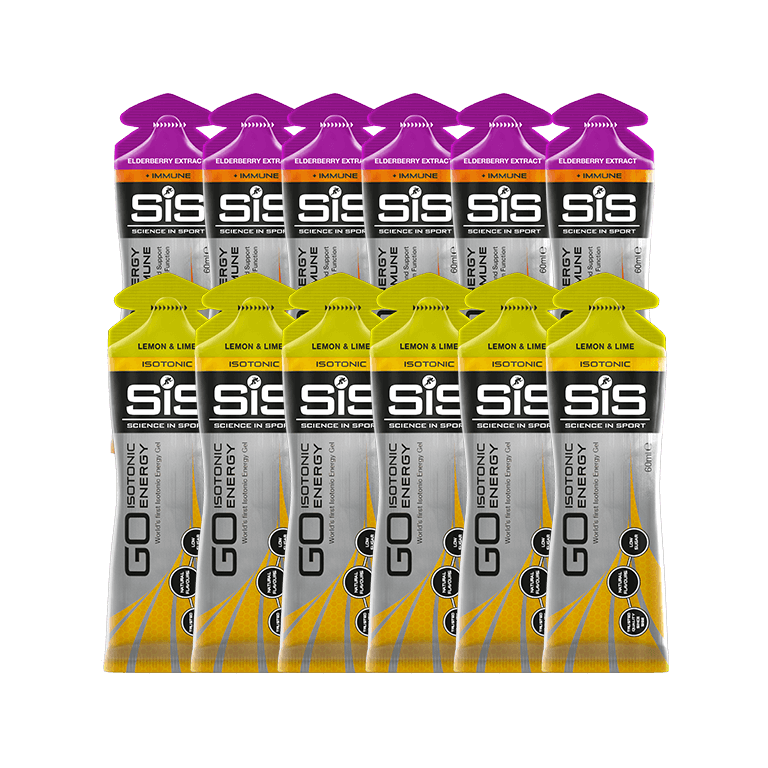 SiS GO Isotonic Energy Gels are designed to be absorbed fast into your gut, providing fast energy. Some solid foods can take a while to digest as there's more fat and fibre in whole foods, which during exercise can cause feelings of bloating and discomfort. No, SiS Gels do not contain aspartame. Yes! All SiS GO Gels are lightweight, compact and designed to fit in jersey pockets, cycle bags and waist packs. They are pressure tested, so don't worry about the packaging tearing or bursting during exercise.